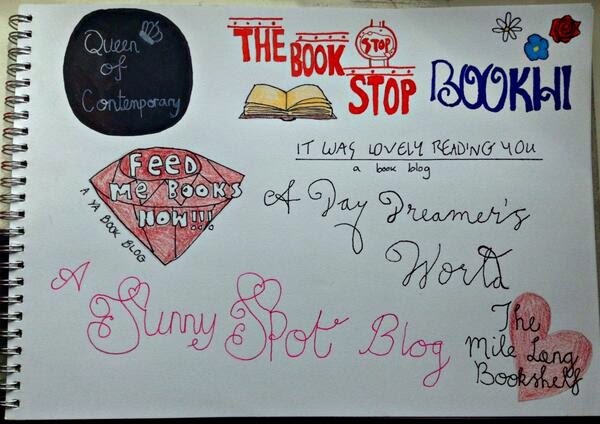 A Day Dreamer's World: What Makes a Book Blogger? What Makes a Book Blogger? Away from blogging, reading and writing, I have few other hobbies. I'd much rather stay at home and read a book than join a club - and I spend so much time procrastinating I seem to fill the hours in a day. Although, I absolutely love to bake; even though I always seem to burn or cut myself, or cover the floor in the ingredients that should be in the mixing bowl. In the kitchen, I'm a danger to myself and those around me, but there's something about eating spoonfuls of melted chocolate and being covered in flour that I quite enjoy. When thinking about a blog post, I couldn't help but resist the chance to combine my hobby of blogging and cooking together - and, quite literally, make a book blogger. 400g excitement for book-to-film adaptations. Numerous bookshelves filled with colourful spines. Incapability of choosing just one favourite book. Memory filled with book-quotes that you can blame on John Green. A lack of social-life(that you won't miss for moment). Tissues - lots of them. Leave overnight in your local bookstore. Take out in the morning. WARNING: Don't drag them out unless they want to leave. This was just a short-and-sweet post to wrap-up quite a stressful week. To sum it up in a few sentences, I planned a project called the BBC School Report at my school, which has taken a few months to do, and involved a visit to a radio-station, an author coming to my school, and doing an interview for the BBC. This all concluded with an appearance on TV - which I wasn't expecting, giving me an indescribable shock when I suddenly appeared. A community of book bloggers! Drawing by Amber from The Mile Long Bookshelf! So, that's what I feel makes a book-blogger. What would you add to this recipe? LOOOOVVVVEEEEEE this, Sophie! SO. SO. SO. MUCH! THIS RECIPE IS THE DEFINITION OF AWESOME. also. yay i'm in that! ;) who drew that? i vaguely remember..
Ahh somehow this post got lost amongst all the other ones on my feed. Anyhow, now I'm here, THIS IS INCREDIBLE! I totally agree. :') It's perfect! What a FUN blog post. Very cute!